Albert Bozeman White is a successful, capable attorney with both the education and experience to provide professional, competent legal services to clients. 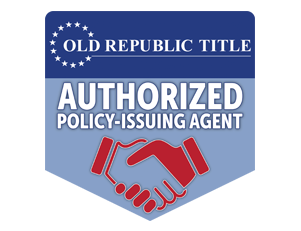 Although knowledgeable and experienced in a range of areas, Mr. White has tailored his services to provide exceptional service to clients requiring help with Real Estate Closing matters (refinancing; buying; selling; all land, residential, construction and commercial closings; title insurance; etc.). Mr. White also has the title curative skills to resolve complex Real Estate issues. Over 25 years experience in real estate, will & estates and other legal matters. Both Gayle and Rai work under the supervision of Al White, but have extensive experience in closing sales and loans. They each have over twenty-five years experience working for closing attorneys or in other real estate services. They both have B. S. degrees from well-respected universities; and Gayle is a licensed Mississippi real estate broker and appraiser. Their backgrounds give them an excellent over-all knowledge of and competency in every aspect of closing sales and loans. Their experience includes preparing sales contracts, deeds, lease assignments, notes, deeds of trust, title certificates, title insurance commitments and policies, settlement statements, loan documents, or closing documents, and closing sales and loans.